Our website offers Leixoes port parking which is easy, quick and secure to book online. How to book your Leixoes port parking? The Port of Leixoes is northern Portugual's main seaport, located in the region of Porto. 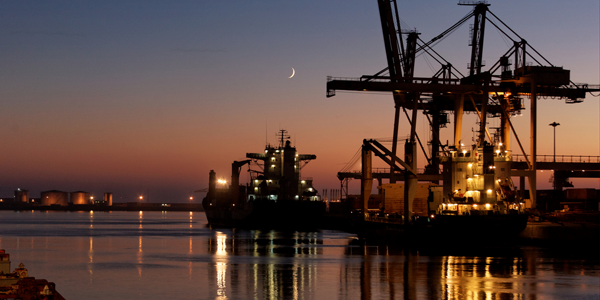 With its strategic location, the Leixoes Port holds a privileged position in relation to other European ports. It operates 365 days a year, with high productivity levels and shorter stays for ships in dock, and its access to port traffic is unrestricted even by tides. The passenger terminal building of Leixoes port was built in the 1960s and is of architectural and historic importance in the city of Matosinhos. With 5 Km of quays, the Port of Leixoes is easily accessible by sea, road and rail and possesses modern technology and advanced computerised ship navigation management systems. Furthermore, its proximity to the international airport of Sá Carneiro (5 km away) enables passengers to begin and end their cruises in the north of Portugal (with access to the metro). Currently the cruise quays, which are 300 metres in length, can accept ships up to 205 metres long.